My assistant, Anna and I have been busily cleaning, organizing, hanging and pricing. This year I’ve pulled out all the paintings, over 90 paintings will be for sale at huge discounts! Many of my pieces will be 75% off for this weekend only! 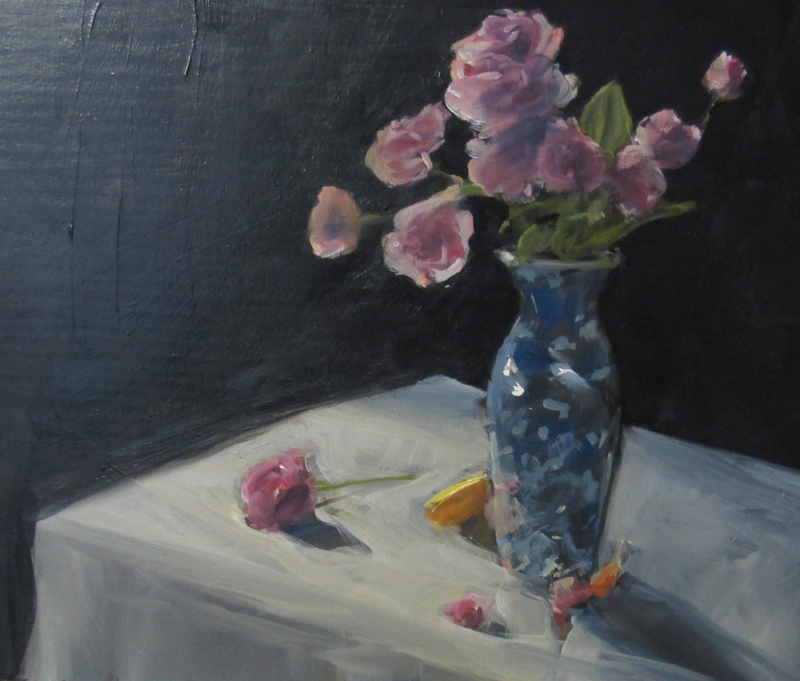 This painting, “Blue Vase” will be raffled off for the price of your email. I do hope you can come by! Oct. 19th and 20th 11:00 – 5:00 both days. You bet Beth! You’ll be on my email list now for announcements, which you should be on anyway since you are a patron! hope to drop by — last time I was there was for the Grand Opening of the studio — many moons ago!